MBOX to PDF Converter is a versatile and feature-rich software which makes easy for the user to convert, save and print MBOX files into PDF file format. The tool is designed with an easy-to-use interface and powerful security algorithms which makes easy for the user to work with the utility. Provides Different Preview Option Such as Hex, MIME, RTF, HTML, etc. Finally, you need to click on the Export button to convert MBOX files into PDF file format. 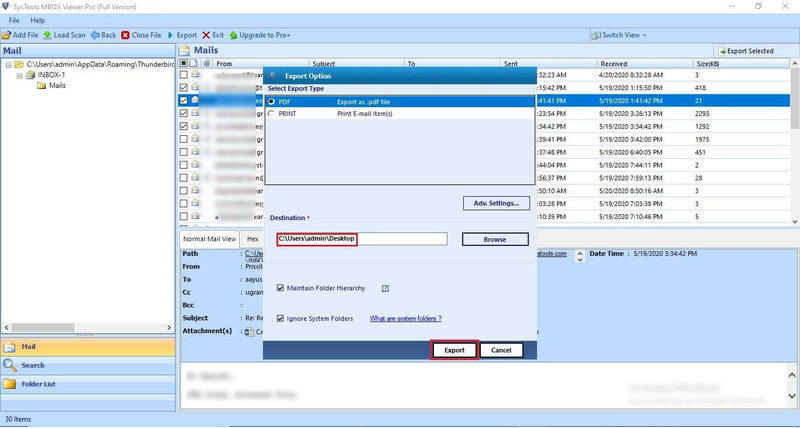 The user can also save the export report after the conversion process. 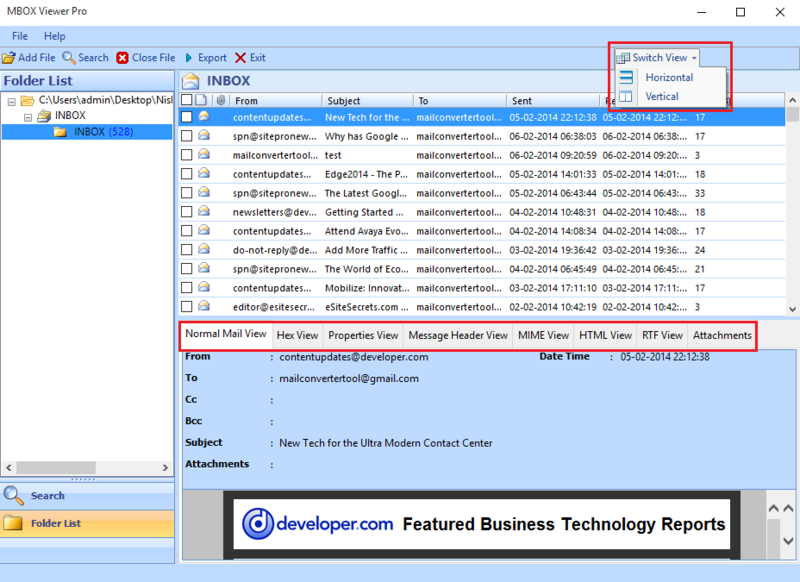 Basically, MBOX stores an individual mailbox folder and it is associated with various email applications such as Thunderbird, SeaMonkey, Eudora etc. Sometimes, the user needs to view and convert MBOX files into PDF file format. To make this task easy, the user can opt for FreeViewer MBOX to PDF Converter Tool. With this utility, the user can easily view, convert and save MBOX files as PDF file format. The software is designed with the user-friendly interface and numerous features are integrated into the tool. Moreover, the user can also print MBOX files as PDF via the tool. The utility maintains the originality of the MBOX files and content even after the MBOX file to PDF conversion. PDF is one of the most reliable file formats when it comes to data integrity and security. It is platform-independent file format which shows the same data and layout irrespective of the software, operating system or device a person is using. Moreover, the evidence related to the forensic investigation is submitted in PDF file format in courtrooms. One can also set various protection level of the PDF file to keep data secure. Thus, most of the users, forensic examiners search for an instant yet reliable way to convert MBOX files into PDF file format. With MBOX to PDF conversion tool, one can easily view and convert MBOX files into PDF file format without any hassle. Moreover, the software also permits the user to print MBOX files as PDF directly from the software’s interface. 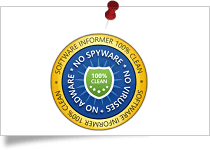 The software provides different preview modes to make it easy for users, forensic investigators etc. 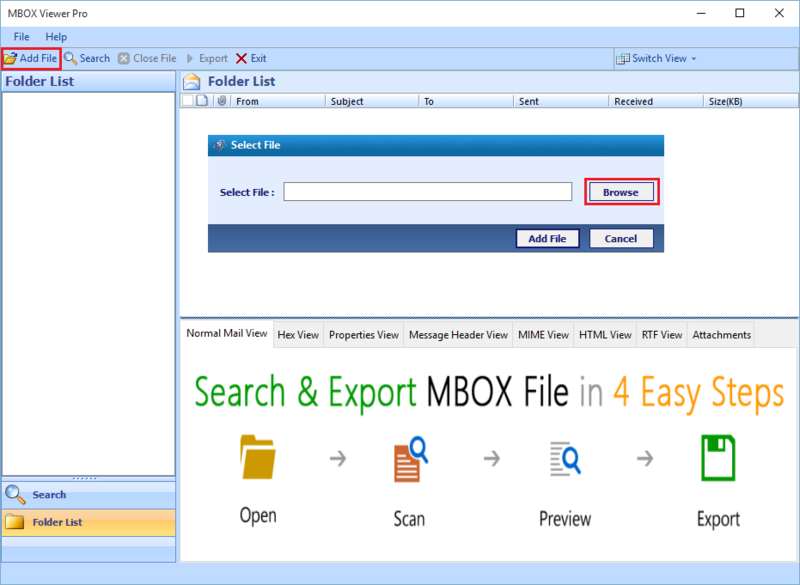 to view and examine MBOX file data in details. The preview modes integrated into the software are MIME View, Attachments View, Message Header View, RTF View, HTML View etc. With every preview mode, the user is capable to view even minute details associated with the MBOX file. With Normal view one can view date, subject etc. and Attachment View permits to view attachments. The Properties View shows timestamps, message class, size etc. of the email. The RTF and HTML view display MBOX message in plain text and HTML format respectively. Whereas, Message Header View shows details related to message routing. When a user needs to convert only a single MBOX file into PDF file format then it becomes difficult for the user to search for a particular MBOX file among multiple MBOX files. Thus, to make the search hassle-free for the users the software is integrated with the Advanced Search option. This option permits the user to search for a specific MBOX file easily among numerous MBOX files. To get more accurate search results the user can also apply search filter using AND/OR operators. The user can work with the software without the installation of any software or email program. The software supports MBOX files of various email clients such as Thunderbird, Entourage, Eudora etc. The tool is a prominent approach to print MBOX files in .pdf format. It is possible to convert multiple MBOX files into PDF all at once. Software preserves the on-disk folder structure even after conversion. When MBOX File to PDF converter tool finishes up with file migration procedure, users can open and view the output portable documents in any version of the Acrobat reader, including its latest one. With the help of MBOX to PDF Converter tool, you can easily analyze the data in MBOX files from any application. There is no size limitation on the file. 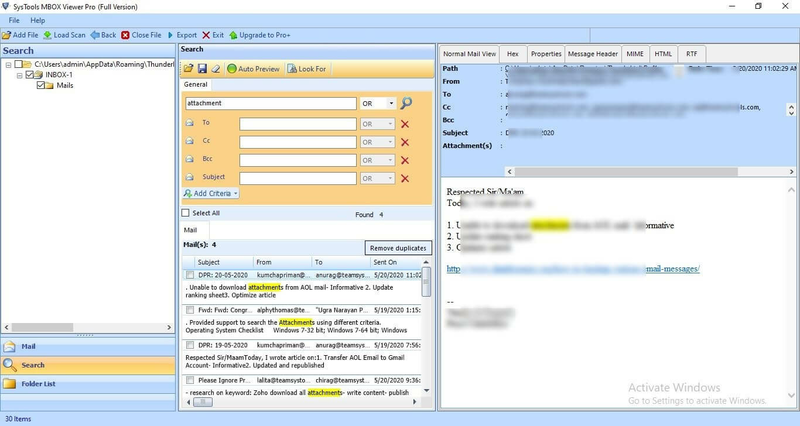 You can view data in various modes like Hex, RTF, HTML, Attachments, etc for forensic purpose. The tool supports Advance option to search suspected data with the help of variety of filters. It is easy to open, view and save data by using this application. It maintains investigation privacy and convert MBOX file to PDF format. The software is an independent solution to print .mbox file in PDF format. It does not require installation of any email program for its working and supports MBOX file of all email clients like Entourage, Mutt Mail, Gmail (Google Takeout) etc. MBOX to PDF Converter is capable of converting emails along with attachments, in same extension as they were at the time of mail creation. One can also open and view them in resultant PDF files through attachment icon of Adobe. MBOX to PDF converter provides an advance feature of implementing selective conversion with help of it. Instead of printing all emails in PDF file, one can select & convert only those emails, which they want in PDF. At the time of exporting MBOX file to PDF, the product offers variety of PDF file naming convention options. One is free to choose any of the provided option and make it convenient for their further usage. 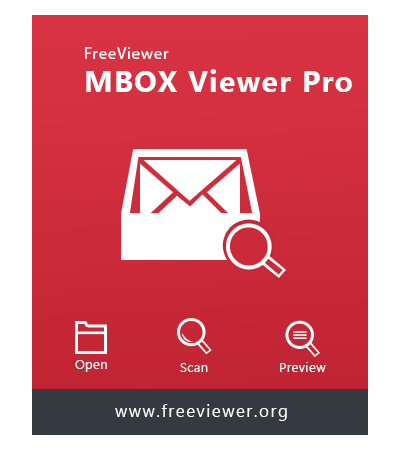 Free Version only preview MBOX file's Emails with Attachments, Purchase to MBOX Pro Version for Advance Search Option & Export MBOX File to PDF. I am having a MBOX file, which was generated from Google Takeout software while downloading data from the Google Mail account. Is this type of MBOX file supported by your software? Yes, no matter from where the MBOX file is originated. The MBOX to PDF Converter software will support all types of MBOX files without any error. I am having updated version of Windows operating system in my laptop. Therefore, I want to know that whether you converter utility will work upon the Windows 10 platform or not? No, our software is totally a Windows-based application, which is compatible with all available Windows OS, including 10. Does the software is capable to convert MBOX files into PDF with attachments? Yes, the tool allows the user to convert MBOX files into PDF file format along with attachments without any issues. Will I be able to open and view attachments of MBOX emails in resultant PDF file? If yes then, how is it possible? 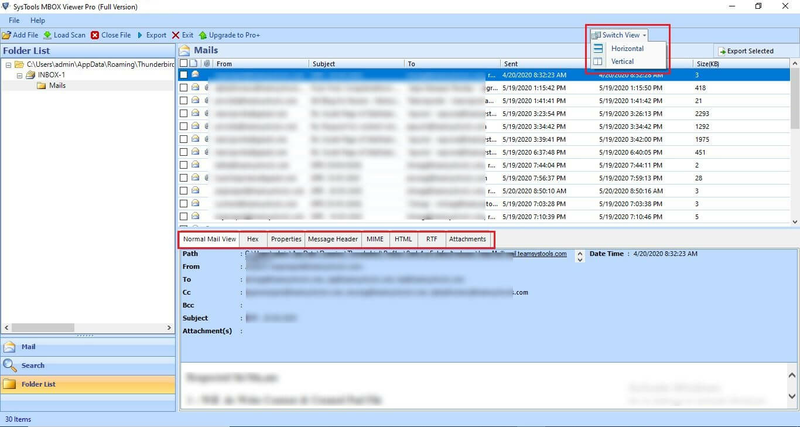 Now, you will be able to track list of attachments included in the email message and then, accomplish your further task. Can I view message header of MBOX files with this utility? Yes, the software provides multiple preview modes such as MIME View, Hex View, Message Header View etc. So, you can easily view the message header of MBOX files using Message Header View. Is there any change in the MBOX file content and originality after the MBOX to PDF conversion? No, there is no alteration in the MBOX file content as the utility preserves the originality of the MBOX files even after the conversion process. Can I work with the tool without any problem as I am not a technocrat? Yes, the software is having a user-friendly interface which makes easy for both tyro and technical user to work with it. So, you can also work with the tool is a hassle-free way. "MBOX to PDF Converter application is the best utility to effortlessly deal with problem of MBOX email migration to portable format. By my personal experience, I can assure my review readers that the tool is so much easy-to-use that even a novice user can operate it without any technical assistance." "I wanted to show few emails of suspected MBOX file in court as an evidence therefore, I was in a need to save those mails in PDF. I used this MBOX File to PDF converter software, which not only provided my perfect conversion but, also allowed for a customized way of saving file directly from the software panel." 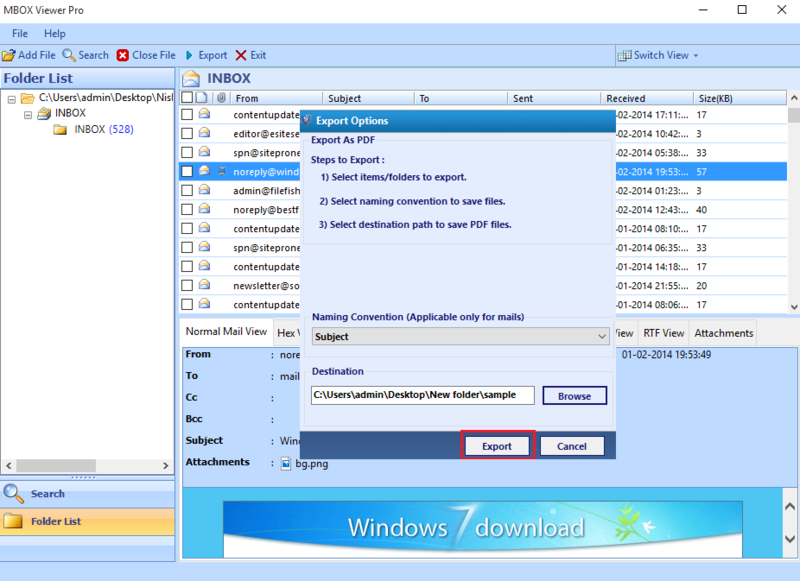 FreeViewer Outlook OST Viewer Pro Tool helps user to export Microsoft Outlook OST file with attachments into PDF. 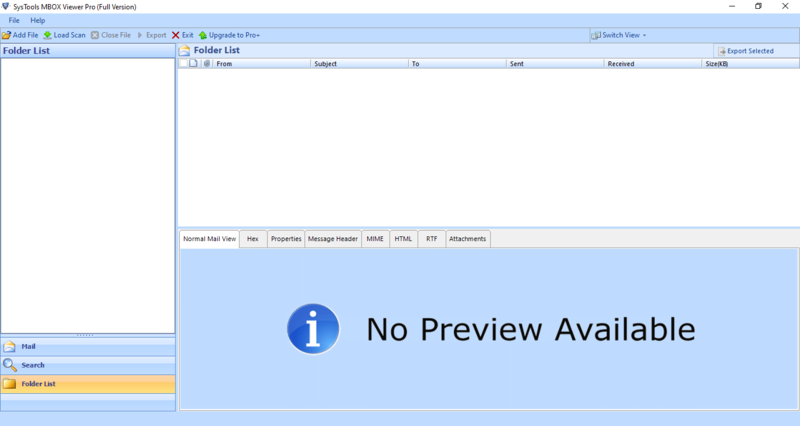 FreeViewer MSG Viewer Pro Application used to export single or multiple Microsoft Outlook messages into PDF file(s). FreeViewer EML Viewer Pro Tool is helps to export Thunderbrid, Windows Live Mail EML files into PDF Format with Advance Search Option.